Sponsors help us to invest and grow our educational work & activity. We welcome organisations who share our values for a healthier, happier & ecologically natural future. For enquiries, please contact us at: sponsorship@macrobiotics.org.uk. 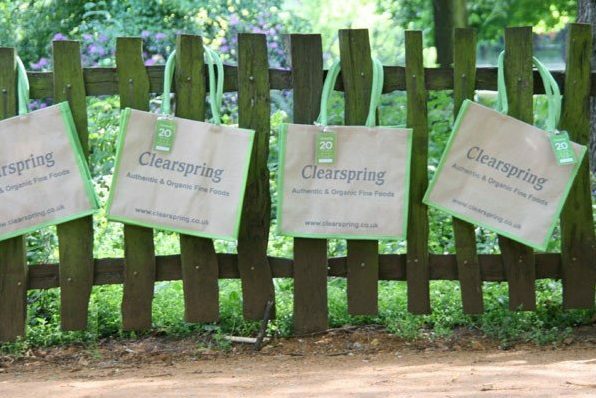 The Clearspring goal is to get organic food back on the dining table, so that you can enjoy the same quality of foods as your grandparents did. By developing the demand for organic foods and encouraging the cultivation of organic crops by farmers today, we can ensure that your grandchildren, too, can enjoy the great taste of good food. Each of our food products has a distinct flavour and quality that comes from using the finest quality ingredients and respecting local food traditions. Founded by mother and daughter team Lucy (Lu) and Maria (Ma) Jessiman, both level 1 Macrobiotic food coaches, Lu-Ma Café offers a range of delicious completely dairy free, refined sugar free, vegetarian, vegan and gluten free dishes. Both Lucy and Maria are passionate about creating a place where healthy eating is easy – no hidden surprises, no dodgy labeling, just honest, good, tasty, real food. The One World Festival is a truly magical mid-summer family macrobiotic event. A week of education, like mindedness, love, super healthy foods and off the scale entertainment all in a unique atmosphere of rest and activity, fun and freedom, challenge and adventure. One World presents over 400+ workshops and lectures throughout the week. Our teachers come from all over the world, and are dedicated and experienced in many therapies, natural movement and dance forms, exercise for physical and spiritual well being, holistic health, arts, crafts and sports, as well as in specialist areas such a natural cookery.